After 9 Months, He Comes Back, And What He Finds At Home Will Drive You To Tears! Dan Haws is a Lieutenant in the U.S Navy, and we now know his story. In 2009, Dan was deployed to Afghanistan as a Dental Officer, putting him in a tough situation. Dan’s wife was expectant with their firstborn, and the man was at cross-roads about what to do. 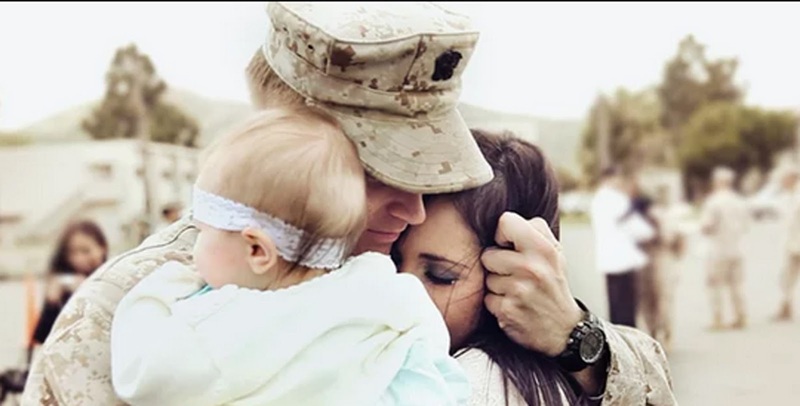 Finally, he went to serve his country, and he was still on duty when, 5 weeks later, his wife gave birth to a lovely baby girl. Although Dan missed his daughter’s delivery, he did come back home in 2010 to meet the most adorable 4-month-old tinny lady he had ever see. Their first meeting sent some sparks flying, of course, and the moment was made better by Ryan Southwell, a filmmaker, who was there to capture everything. It was all so lovely that Ryan had to post on his Vimeo and publicly admit that what happened was nothing short of beautiful and affectionate. He even claims to have felt some kind of a patriotic atmosphere lingering in Dan’s house during that epic moment. Watch this and love it.Please SHARE with your Facebook friends and spread the joy!